one of a series of animal paintings by lyb. Medium: other. Water based oil on canvas board. LYB (Lynda Butler) is an artist and author who is passionate about fostering the wonder, curiosity and freedom experienced by children as they develop and traverse their childhood years. Her paintings, which compliment her writing, strike a 'mystical' chord with inquisitive children all over the world. Her first book The Enchanted Forests will be available in early March 2008. There is a sample chapter on her website and you can order the book through the Australian Art Gallery or by going to the contact section on the website and letting her know. After the release she will post on her website other locations you can purchase the book. (Lynda Young Butler) Born in Portsmouth in the United Kingdom. She emigrated to Sydney Australia with her parents in 1962. The memories of her early childhood in England that created the atmosphere of her first book. Two characters were inspired by her stepchildren Paul and Sarah Butler, the children of her husband Garry. 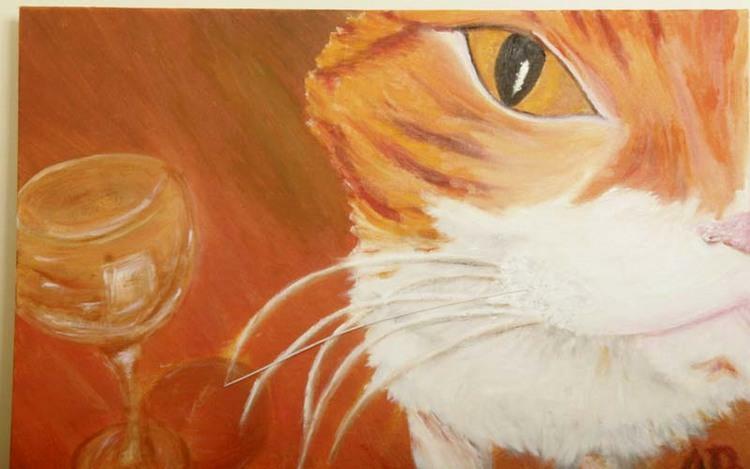 The illustrations were finally done on canvas board in water based oils by Lynda. The first book, done mostly in her spare time took nearly seven years. The sequel, set in Africa, is a work in progress and some of the paintings/illustrations are completed. Fond of English at school she wrote short stories, plays, poetry and songs into her early twenties. She sang in a band for year, and did five years acting which culminated in the lead role in a Government funded short film and a nomination for Best Actress first time in a drama, at the Brisbane Film Festival. It was this project, working and developing the script with the director and fellow actor that inspired a return to writing.